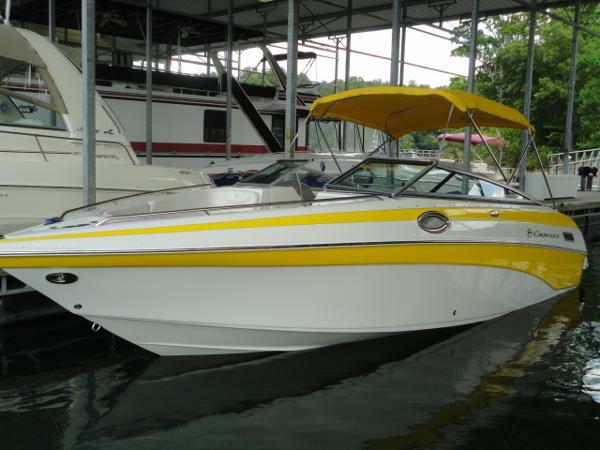 2006 Crownline 230LS 2006 Crownline 230LS This is a great boat, the 2006 Crownline 230LS with tower will catch everybody's eye on the lake! 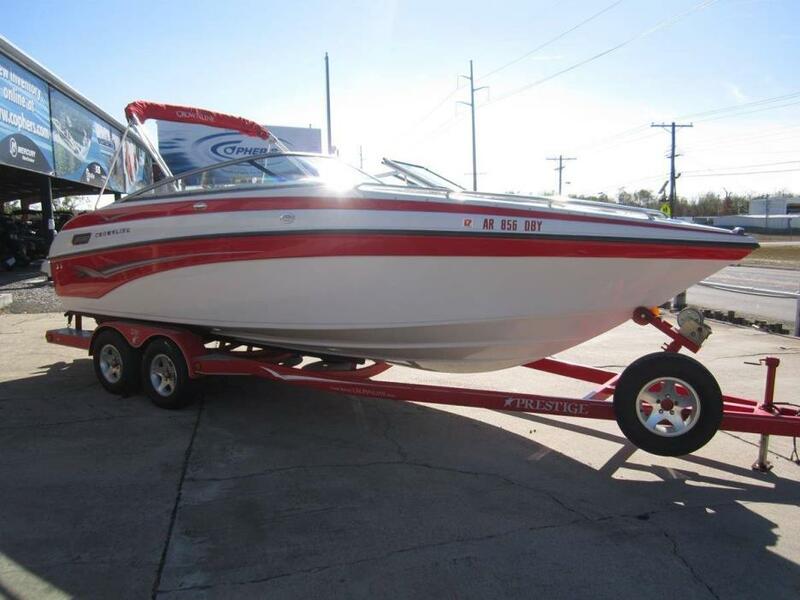 All services performed by LKN since day one, this boat was sold new by our sales team. Only 258 hours, no trailer included, but we do have trailers available for purchase. 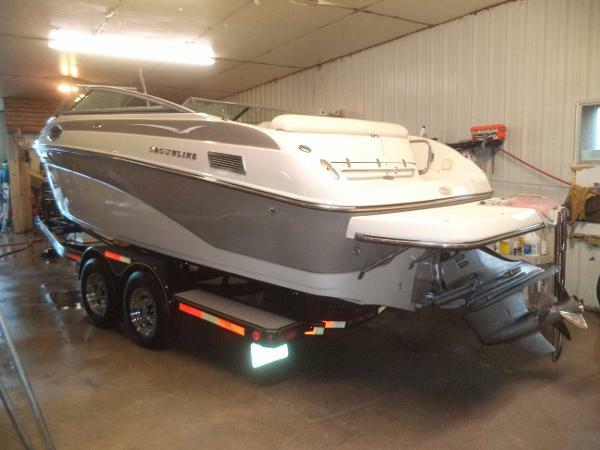 2008 Crownline CCR 230 LOW HOURS! 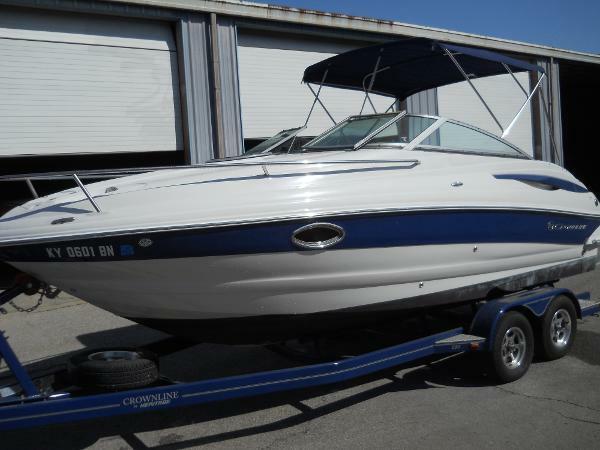 2008 Crownline CCR 230 Only 55 Hours!Mercruiser 5.0L MPI (260HP)*** Additional Details Coming Soon ***Boat is not at dealership! Please Contact Us Prior To Visiting! 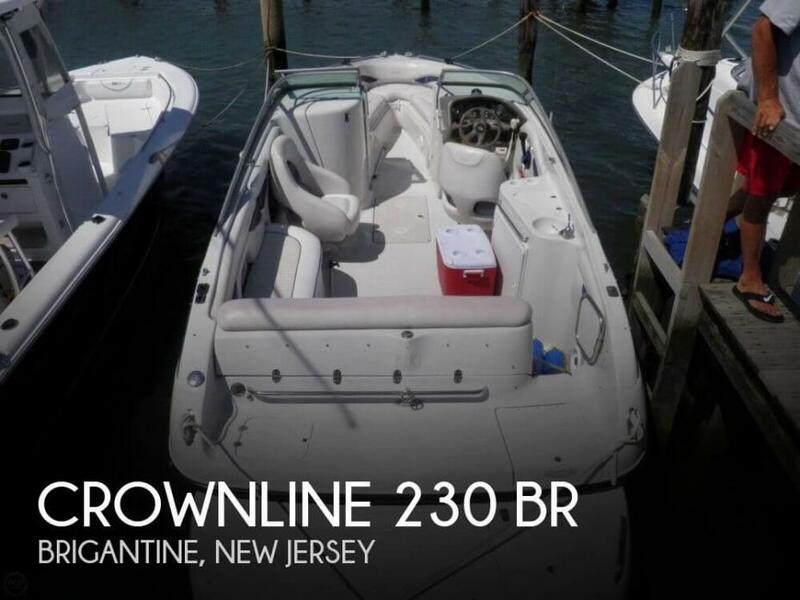 2007 Crownline 230 LS This Is A 2007 Crownline 230 LS, Open Bow, Equipped With A Mercruiser 350 MAG Bravo-3, I/O, 300Hp With Only 344Hrs. 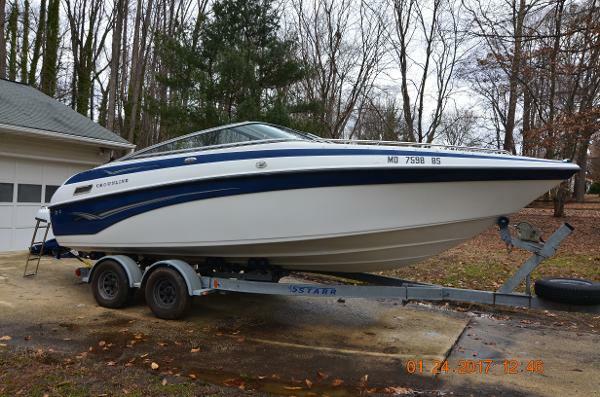 Includes Am/Fm CD Player, Depth Sounder, Dual Batteries With Switch, Trim Indicator, Fuel Injection, Dual 3-Blade SS Prop, Bimini Top, Bow Cover, Cockpit Cover, Bow Storage, Console Storage, Pop-Up Cleats, And Aft Ski Tow Ring. 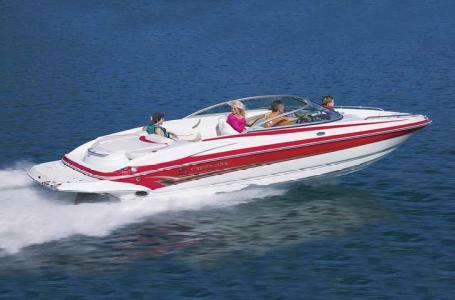 Seats 11, Driver And Passenger Bolster Bucket Seats, Open Bow Seating, And L-Shape Seating With Sunpad. Trailer is A 2007 McClain, Aluminum, Tandem Axle With Aluminum Step Plates, Disc Brakes And Surge Brakes. Trades Welcome. Come On In To Make A Deal! 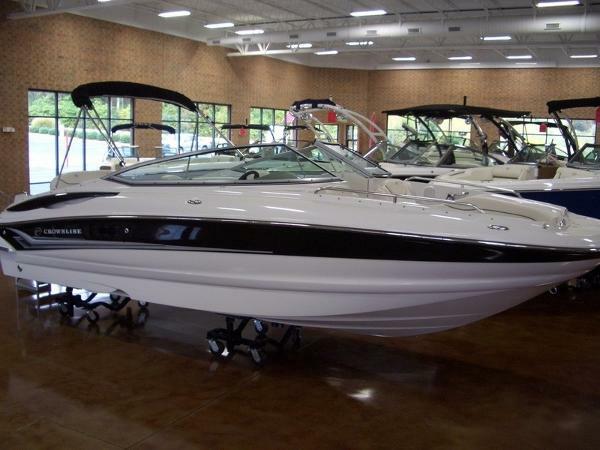 WAS Priced At $36,500 WITH THE EXTRA 10% DISCOUNT IT IS NOW ONLY $32,850!!! HURRY IN BEFORE THIS DEAL ENDS!! 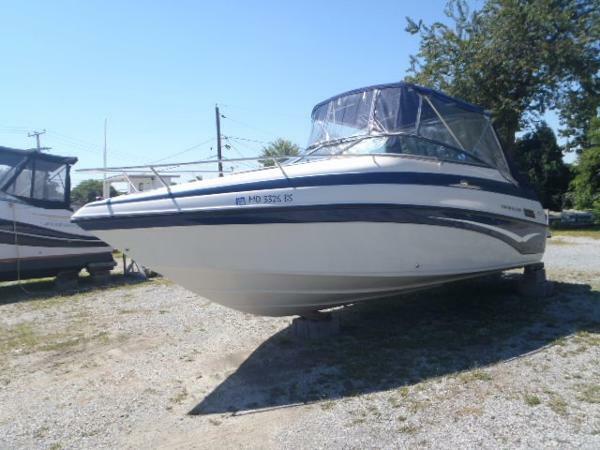 2006 Crownline Bowrider 230 LS, 2006 CROWNLINE 230LS BOWRIDER, 350MAG BRAVO 3 , RUNS GREAT AND WELL MAINTAINED. 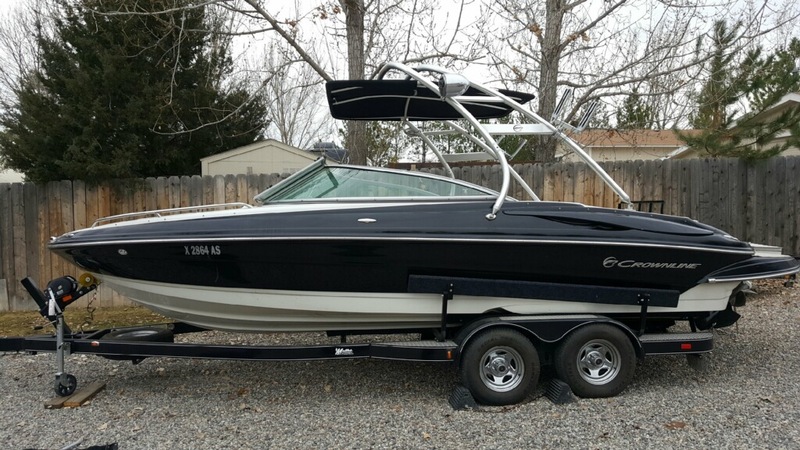 FRESHWATER BOAT , WAKEBOARD TOWER, STEREO, COVERS. 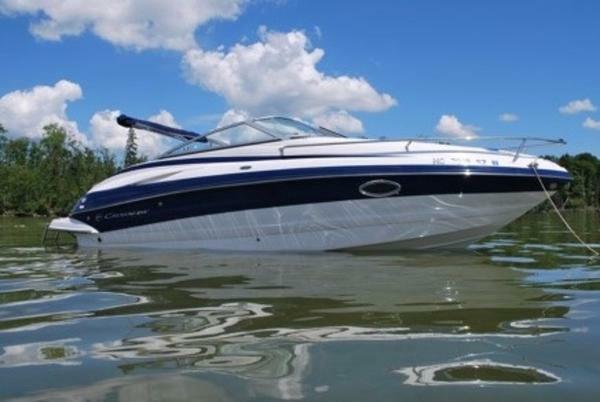 2002 Crownline 230 CCR "GOOD TIMES 2" is a well-kept 2002 23' Crownline 230 CCR Express powered by a 5.7 Ltr 260 hp Volvo Penta engine SX drive and 585 hours. 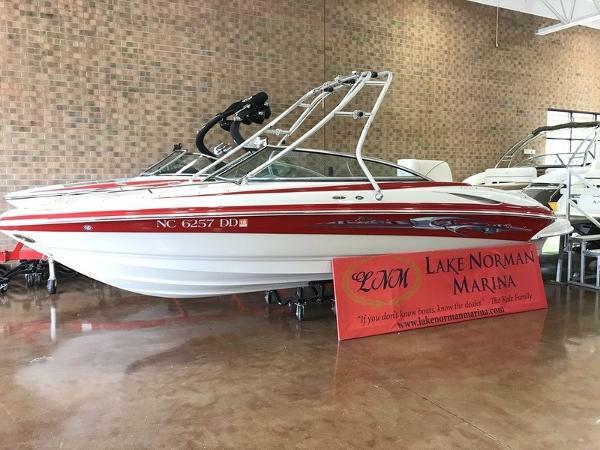 She has a comfortable swivel helm seat and instrumentation includes a Garmin 640 GPS, Lowrance in-dash digital depth finder, Sony AM/FM/CD Stereo, and Icom VHF radio. A companion bench combined with L-shaped cockpit seating gives a roomier, airier layout on deck and ample space for family and friends. In-deck storage coolers complete the picture, providing great storage for food and drinks. Belowdeck, she has a small sink and additional storage. Her forward v-berth seating area converts to a small double berth. She also has a port-o-pottie. She comes with full canvas enclosure and underwater lighting! 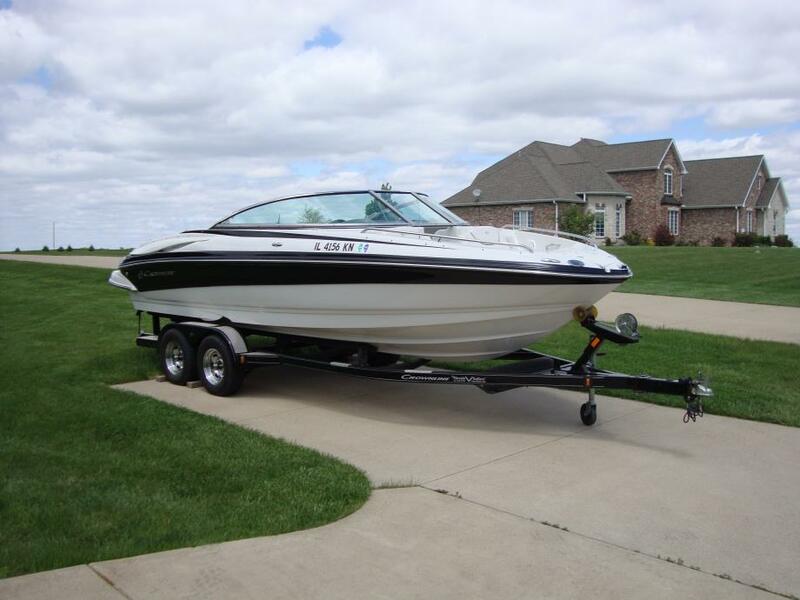 She also includes a 2000 Venture roller trailer! 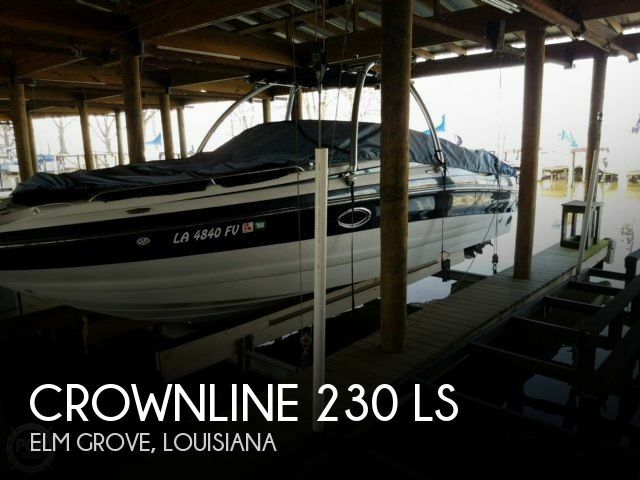 2008 Crownline 230EX SALE PENDING 2008 Crownline 230EX This 2008 Crownline 230EX is in excellent condition! 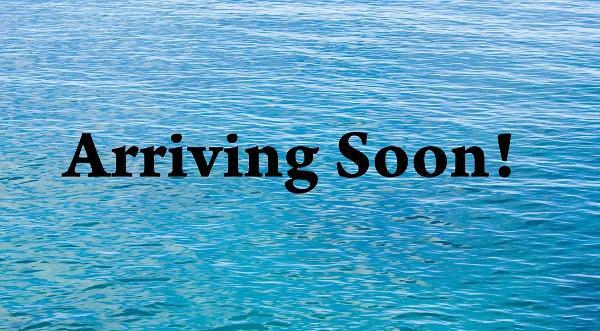 Volvo Penta 5.0GXi Duo Prop, bow filler cushions, pump out porta potti, 2 sinks, freshwater wash downs, bimini top, covers and only 161 hours.